Engelbrektsloppet is a member of Euroloppet, one of the biggest Ski Marathon series in the world that unties the Top Ski Marathon events in Europe for all Ski Marathon Runners. It includes 18 races in 12 different countries in Europe. Each race is open for all skiers, both amateurs and elite. You can chose between Free- and Class style and the races are held in Scandinavia, The Alps, The Pyrenees and all places have there unique and beautiful landscapes. The average participant amounts are between 1000 and 3000 for each race. The Euroloppet Passport is your access to the big Euroloppet family. Euroloppet supports all Euroloppet Passport Holders with various advantages and services, offers and actions. 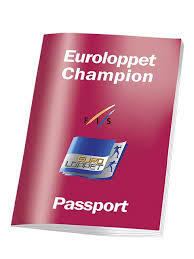 For example, every Euroloppet Passport Holder gets a starting bib for, at least 2nd starting block and a disocunt on starting fees up to 20% at all Euroloppet Champion Races. After finishing your 8th race within 10 years in Euroloppet you’ll become a Euroloppet Champion, after each race you’ll get a chop in your passport. 20% starting fee discount . 2nd starting block just behind the elite skiers. Welcome gifts from Euroloppet partners. Each Euroloppet organizers have there own special benefits for Passport Holders. Read more about Euroloppet Passport benefits here. 20% discount at Engelbrektsloppet Official Waxing Service. Free meal at Saturday evening at Engelbrektsloppet food service. Within the Euroloppet Family you can find different mini-tours where you get extra awards after finishing each Tour. Here in Scandinavia you can become a Nordic Racer when you participate in Engelbrektsloppet, Kristinaloppet, 7-mila, Vuokatti Hihto or Juväskylä Ski Marathon. Or you can win Engelbrekt - Skadi Loppet Trophy, that’s Engelbrektsloppets and Skadi Loppets own cooperation. Engelbrektsloppet is the biggest race in Euroloppet and Skadi Loppet is the second biggest race in Germany and an amazing end-of-season event. Become a Nordic Racer! You can chose between Engelbrektsloppet, Kristinaloppet, 7-mila, Vuokatti Hihto, and Juväskylä Ski Marathon. When you’ve made two of theses races within one year you’ll get a Diploma and you can chose between two gifts from Euroloppets various partners. Also, you’re participating in a lottery and you can win a weekend in the Alps. To be able to participate in Nordic Racer you need a Euroloppet Passport. Participate in some of all races within Engelbrektsloppet and Kristinaloppet and some of the races within Skadi Loppet. Except all the exciting experiences and challenges you’ll win Engelbrekt - Skadi Loppet Trophy. It’s a handmade glass pokal from the glassworks, Joska in Bodenmais. Here the famous World Cup Glass Pokal is made since many years. Feel the spring and finish the season in a sunny Bodenmais i Germany. Skadi Loppet in Bodenmais is the largest ski event in Germany after König Ludwig Lauf. Here you have both great skiing and traditional Bavarian food and drinks. During the trip guidance and transportation are included. At the Hotel you’ll enjoy SPA & Relax and make a visit to the local brewery at the Hotel.